1. 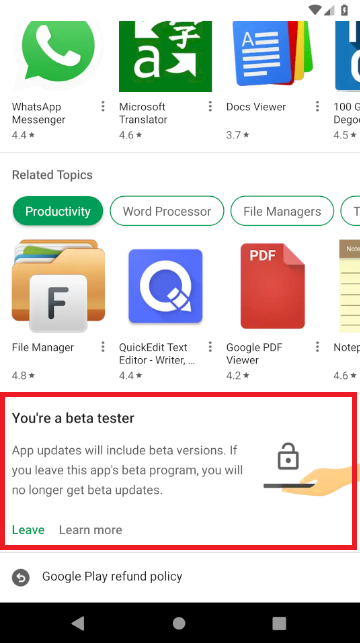 Go to the Google Play Xodo Beta Page. 2. 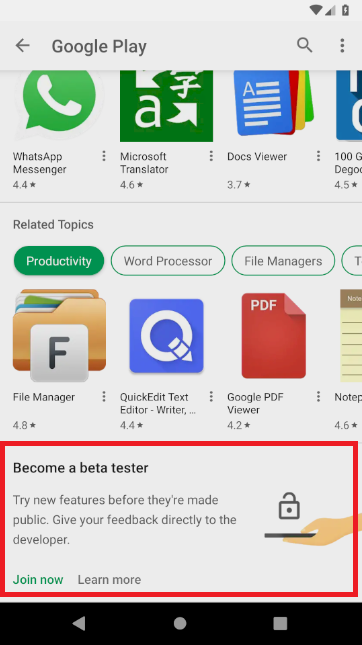 Tap the BECOME A BETA TESTER button. 2. Tap Leave the program. 3. 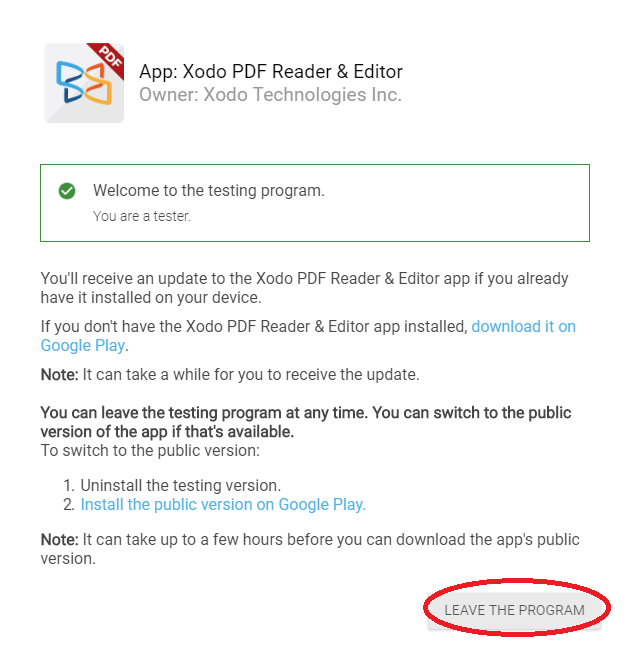 Uninstall the beta version of Xodo on your device, and reinstall the public version from Google Play. It may take a few hours before you can download the public version. It may take a few minutes before you are removed from the beta program. If you have any feedback on a new feature or if you find a bug, we'd love to know. 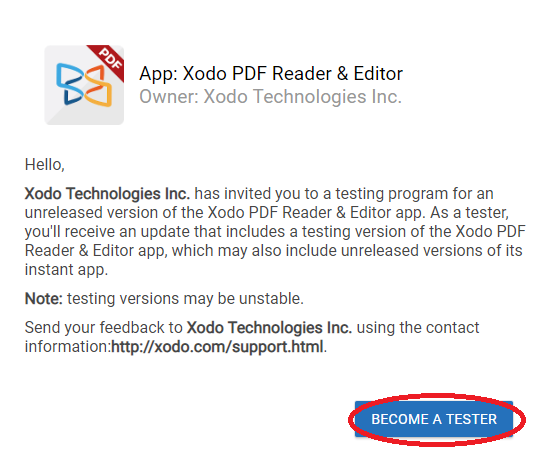 Please use the Send Feedback feature in Xodo's Settings menu to get in touch. 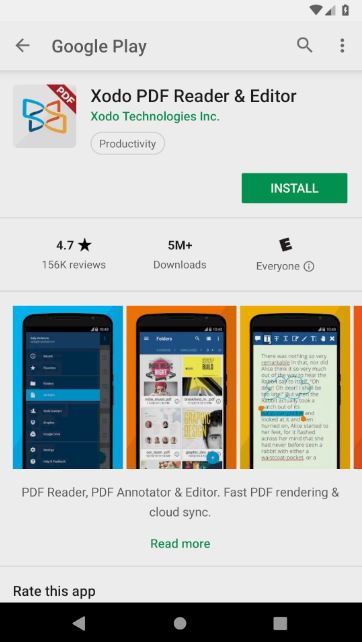 How do I stop using the beta version of Xodo for Android?